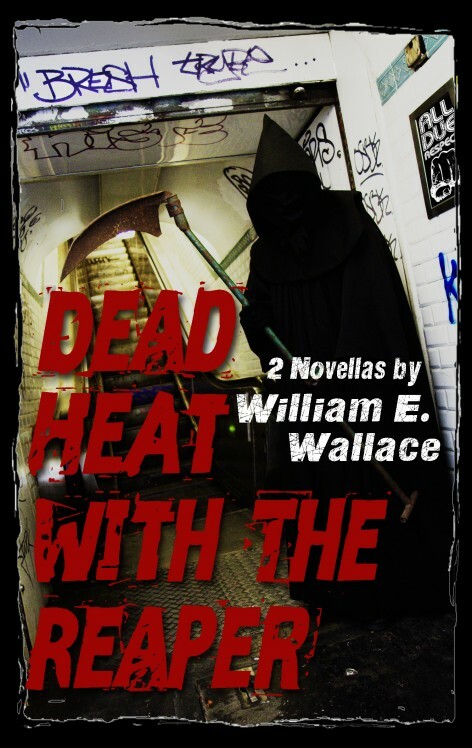 Dead Heat With The Reaper: Two compelling novellas by William Wallace, written in classic pulp style. Retired steel mill worker Frank Trask is a badass who passes out in front of his Oakland, California apartment and wakes to find he won’t live much longer. The news leaves him with a big problem: how to use more than $400,000 he’s managed to save. His solution is a good one but not strictly legal – plus Frank may not live long enough to pull it off. Sergeant Alan Baldocchi survived the IED that killed his armored carrier crew in Afghanistan, but the blast left him so scarred that people he meets look away in disgust. Now a civilian, Baldocchi meets Susan, a nurse who — against her better judgment — takes a liking to him. Baldocchi’s sour attitude and chronic alcoholism have given him a death wish. But the nurse offers tenderness and friendship. Unfortunately the run-down apartment house they live in is infested by young criminals – and the leader of the gang has violent plans for both of them. Really, you must acquaint yourself with this novella duo by William Wallace. He’s next in line for “Best of the Year” lists. Like Raymond Chandler, Wallace has a penchant for that turn of phrase that burns and blazes long into the night. A two-punch wallop of perfect pulp. William E. Wallace has been a house painter, cook, dishwasher, newspaper and magazine reporter, journalism professor, private investigator and military intelligence specialist. He took his bachelor’s in political science at U.C. Berkeley and was an award-winning investigative reporter and special projects writer for the San Francisco Chronicle for 26 years. 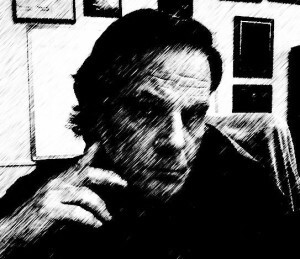 His work has been published in All Due Respect (which has nominated it for a 2014 Pushcart Prize), Shotgun Honey, Spinetingler, Out of the Gutter Online, Crime Factory and Dark Corners Pulp. Wallace’s longer fiction includes three self-published novels: The Jade Bone Jar, Tamer, and The Judas Hunter; and a novella, I Wait to Die. He is currently working on a new novel, Bottom Street.